Casey Perez's daughter, Sarah Perez, suffered a disabling concussion while playing lacrosse for the SCLC and Coach Shannon Dempsey. Perez is suing Dempsey and the SCLC for damages resulting from their "Negligence"
Come to TSCA at 6:00pm on Tuesday, May 17th to find our the jury's verdict. The whole school is excited about our upcoming Book Fair to be held March 21st - 24th. An amazing selection of books is headed our way! At the Book Fair you will find the latest and finest titles for kids, as well as books of interest to parents. Mark your calendar for our Family Event on Tuesday, March 22nd where the whole family can join in the fun. Please read the attached letter below for details on the book fair. Contact Mrs. Britton through the link above with any questions. Tri-State is again partnering with Modell's Sporting Goods for the Winter sports season. Shop at Modell's between 11-6-2015 and 12-24-2015 to receive 15% off. 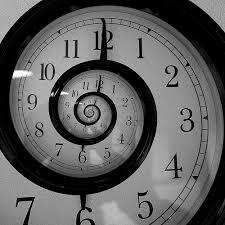 In addition, TSCA will receive 5% of your purchases made during this time frame. Coupons are available in the Main Office. Modell's is located at 1315 Churchmanns Rd Newark, DE 19713. A parent/guardian must go online to www.launchde.com to complete a waiver for each student attending. Transportation to and from the Launch Park is the responsibility of parent/guardian. See You at the Pole™, the global day of student prayer, began in 1990 as a grass roots movement with ten students praying at their school. Twenty years later, millions pray on their campuses on the fourth Wednesday in September. See You at the Pole™ is simply a prayer rally where students meet at the school flagpole before school to lift up their friends, families, teachers, school, and nation to God. See You at the Pole™ is a student-initiated, student-organized, and student-led event. For more information please visit www.syatp.com. Tri-State will participate in this event on Wednesday, September 23rd. 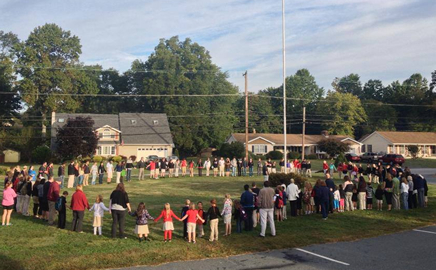 All students, parents, staff & faculty are welcome to join at the flagpole at 7:45am. We hope to see you there. Springfield County Police Department Officer Darren Gray is on trial for 2nd Degree murder. It is said that Officer Gray shot pedestrian Michael Case in cold blood! Will Officer Gray be convicted or let go? Come to Tri-State Christian Academy at 6:30pm on Thursday, May 7th to find out the jury's verdict. Join us for Family Night on Tuesday, March 31st! Our 8th grade class will host a Taco Salad dinner from 3:15-6:45pm in the cafeteria. They will be accepting donations to help with their upcoming overnight trip to NYC. You may eat-in or get it to go! Then, be sure to stop by the Library for our Family Night at the Fair! The Book Fair will be open from 4:30-7pm to allow parents, siblings, friends, etc a time to shop with their students. Finally, at 7pm our winter athletes will have their Winter Sports Awards Ceremony in the auditorium. All winter athletes, parents and family members are invited to attend this event. Athletes should dress-up for this occasion - no jeans please. We hope everyone can join us for a night of fun! Spring Portraits will be taken on Monday, March 23rd. Students are permitted to dress-up or down in a casual spring outfit. Please note: dress must follow TSCA's modesty guidelines - NO: tight fitting pants or tops, inappropriate language on shirts, etc. No payment or order form is due at this time - photo packets will be sent home in a few weeks for you to review and then decide to purchase or not. The whole school is excited about our upcoming Book Fair March 30th - April 2nd. An amazing selection of books is headed our way!At the Book Fair you will find the latest and finest titles for kids, as well as books of interest to parents. Mark your calendar for our Family Event on Tuesday, March 31st where the whole family can join in the fun. And, you can contribute books to your child's classroom library. The Book Fair is a great way to get everyone excited about reading. Here's a brief video that highlights the big dreams that can be realized through family reading: http://www.scholastic.com/bookfairs/family See you at the Book Fair! The Music Department will be hosting a talent show on April 23, 2015 at 7:00pm in the school auditorium! If you are interested in trying out and showing your talent, please sign-up in the office. There is a $5.00 entrance fee due at try-outs. Students in 1st through 12th grade are eligible to participate. Prizes will be awarded for 1st place in elementary school, 1st place in upper school, and an overall 1st place winner. Please be sure to bring your permission slip and entrance fees to your audition on February 26th. We welcome any talents you may wish to show off! All acts must be appropriate for family audiences. We reserve the right to disqualify on the grounds of inappropriate content. On Friday, November 21st from 3:30-9pm the PTF will hold our 4th Annual Cookie Walk. You will have the choice between a $5.00 and $10.00 box to stuff full of delicious treats! This event is open to the public - Tri-State Christian Academy is located at 146 Appleton Road Elkton, MD 21921. Contact tristatechristian@comcast.net with questions. TSCA will celebrate Spirit Week October 6th - 10th. Below are the themes for each day. Monday - FanDay: Wear your favorite team's jersey, shirt, accessories, etc. Wednesday - Clash n' Bling: Mix n' match, excessive accessories, etc. The crazier the better!! We will end the week with a Pep Rally at 2:15 on Friday and our Varsity Soccer Homecoming Game VS. the Tome Titans on Saturday, October 11th at 7pm. Surprise that special Friend with a carnation! Tri-State Christian will be participating in Anti-Bullying Awareness the week of October 13th. To help continue this awareness, we are making available TSCA Peer Power Tees for just $8.00. Students will be able to wear these shirts on Wednesday, October 15th and then the First Friday of every month for the rest of the year. Parents, staff and friends are also encouraged to order shirts to help spread awareness. Please see the order form for details . .. all orders must be placed by October 1st to allow for delivery before the 15th. See You at the Pole™, the global day of student prayer, began in 1990 as a grass roots movement with ten students praying at their school. Twenty years later, millions pray on their campuses on the fourth Wednesday in September. See You at the Pole™ is simply a prayer rally where students meet at the school flagpole before school to lift up their friends, families, teachers, school, and nation to God. See You at the Pole™ is a student-initiated, student-organized, and student-led event. For more information please visit www.syatp.com. Tri-State will participate in this event on Wednesday, September 24th. All students, parents, staff & faculty are welcome to join at the flagpole at 7:45am. We hope to see you there. All athletes in 6th - 12th grade must have a physical before they can practice or play on a team. Athletic fee is $25.00 per sport. This is due before any player may participate in a sport. P.E. Uniforms are required for gym classes from 6th - 12th grade. In addition, you must wear your gym uniform for all team practices. You may purchase a uniform at the book store (Aug 19-21). The cost for the P.E. uniform will be $25.00/set or $15.00/piece. *All students interested in playing a sport should attend the practices listed above; this time will be considered Try-Outs as well. Link Up With The Seniors! Tri-State Christian Academy's senior class is kicking off our annual class links competition. 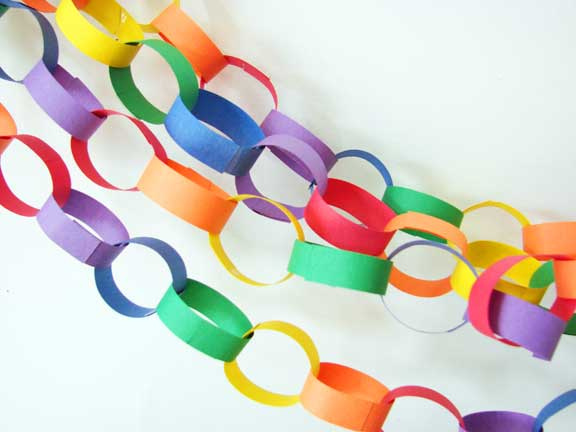 Each class attempts to build the longest link chain by purchasing links for 25cents. The chains will be displayed in the cafeteria so that the students can see their progress. Each day the seniors will collect the money from each homeroom teacher and add the links! Tri-State Christian Academy, Inc. is a Maryland Department of Education approved non-public school for Kindergarten, Elementary school (grades 1 through 8) and Secondary school (grades 9 through 12) education programs. The following elementary students received a certificate and medal for their outstanding performance and were October's “Stars”: K5: Xander E. and Camryn S. 1st Grade: Etta H., DeJon H., and Tessa D. 2nd Grade: Noah P. and Julianna H. 3rd Grade: Jonathan M. 4th Grade: Aron F. and Sabrina V. 5th Grade: Tommy M, Dylan S., and Charity T. Middle School: John B. High School: Melanie G.
The following elementary students received a certificate and medal for their outstanding performance and were September's “Stars”: K5: Abigail Z. 1st Grade: Micah P., Montana S., Hunter Y. and Rachel V. 2nd Grade: Lilah P. and Kyle R. 3rd Grade: Skylar K. and Brandon H. 4th Grade: Natalia E. and Ethan K. 5th Grade: Leah S., Tori T. and Christopher T.